Discussion in 'The Lounge' started by stevew, Feb 21, 2013. Damn. Enough forward momentum and that guys gonna get airborn. My attempt at an epic stache just got a little less epic. It's all in the shape. A proper airfoil is essential for getting off the ground. 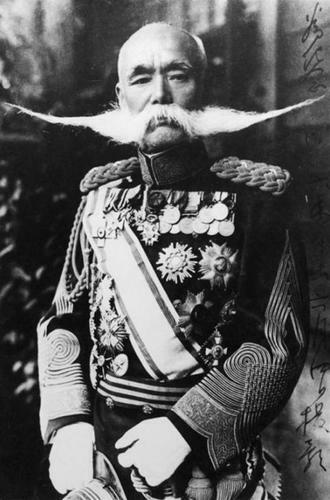 I think that's a Japanese admiral back in the day of sino-Japanese wars in the late 19th century, but I don't remember his name. He squalled like a little punk when I cut that thing off.